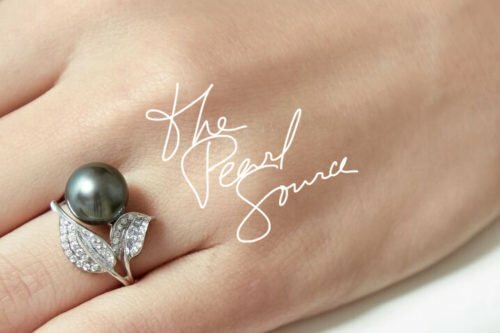 In the market for pearl jewelry? Before making a purchase, it’s essential to learn about what these gems are. 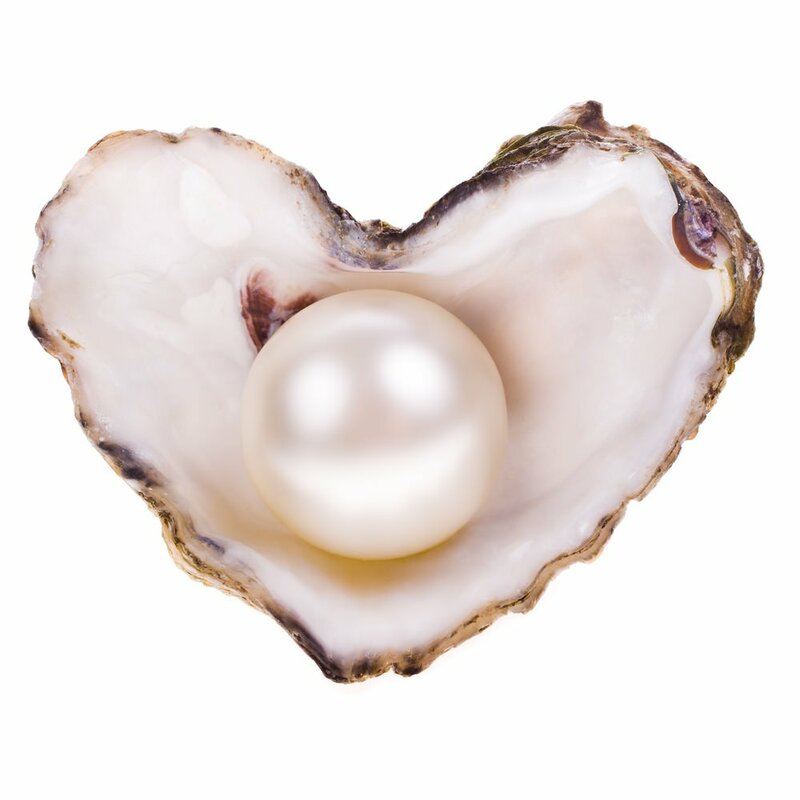 Pearls are the only gemstones in the world that come from a living creature. Mollusks such as oysters and mussels produce these precious jewels that people have adored since ancient times. Despite appearing in a rich variety of sizes and shapes, the white and almost perfectly round gems continue to be the most popular. Pearls are famous for the exquisite beauty they possess which comes from their distinctive glow, often referred to as a jewel’s luster. 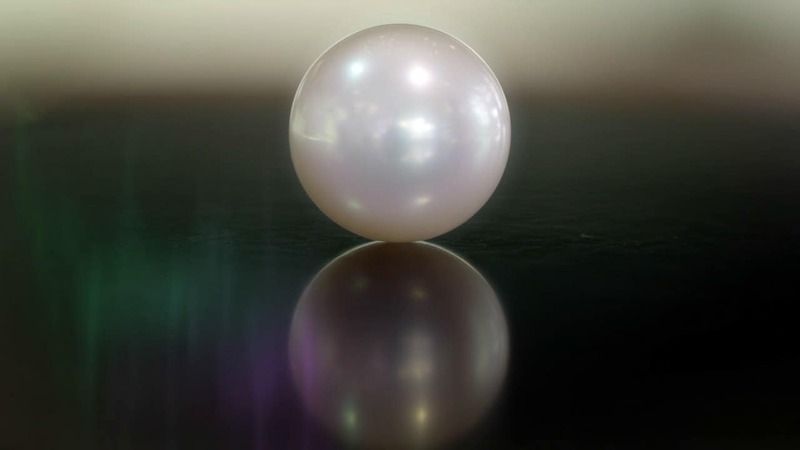 While there is indeed a lot to learn, to help you answer the question “what is a pearl” we discuss all the aspects you need to know. 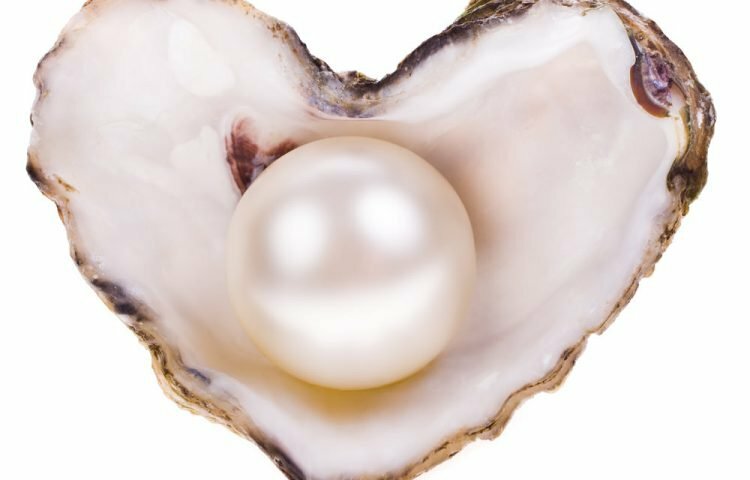 How Does a Pearl Form? As mentioned earlier, these gemstones form inside mollusks. 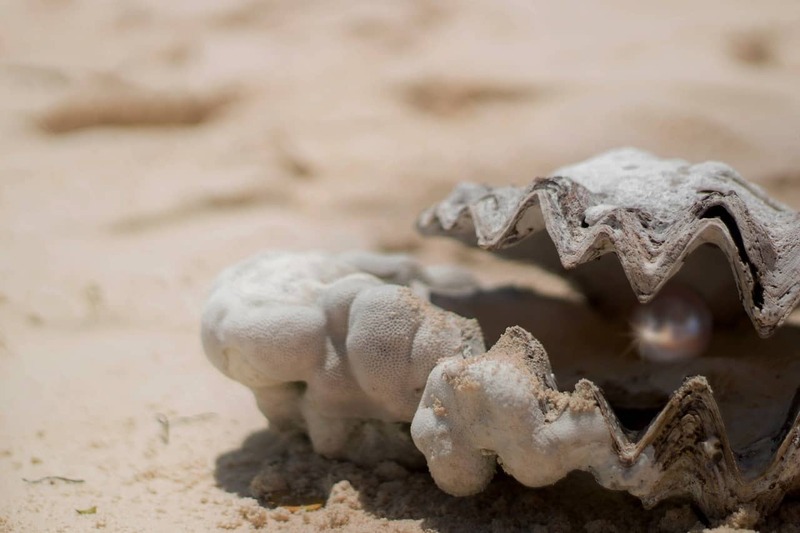 In saltwater, pearls are found in oysters, while in freshwater they are produced by mussels. When a foreign substance such as a food particle slips into the mollusk, the creature protects itself by covering the irritant with layers of nacre. The nacre is also a substance that gives the jewels their luster. This food particle essentially functions as the nucleus of a gem and gets larger and larger over time as layers of nacre are applied. How Long Does It Take for a Pearl to Form? The time it takes for a pearl to develop depends on a variety of factors. Generally speaking, the freshwater types form a lot faster than the saltwater ones. 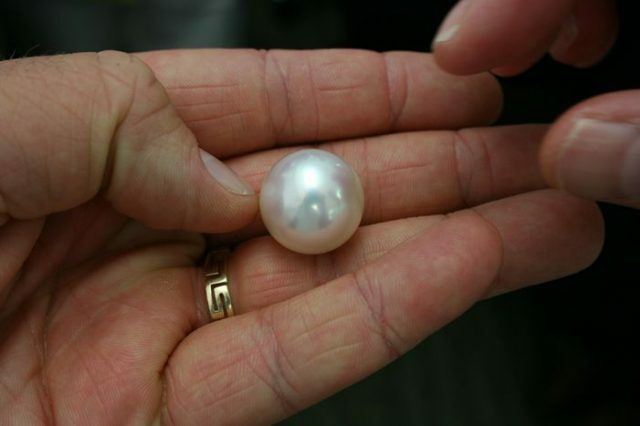 Small saltwater pearls can take as little as six months to develop, while the larger ones might need up to four years. If you love large jewels like Cleopatra, make sure to browse our stunning collection of Loose White South Sea Pearls, featuring some of the finest gems of the sea. Utter luster and radiance galore, all encapsulated in our carefully selected jewels – the perfect gems to create your dream custom jewelry piece. We’ve already introduced two different types of pearls: saltwater and freshwater. Another way to classify these gems is by their forming process, namely natural or cultured. 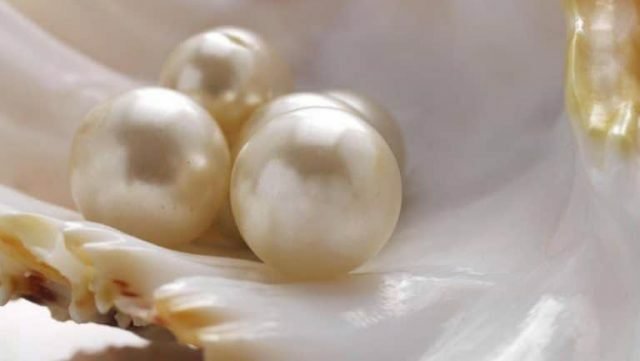 Natural pearls are harvested from the wild. These types are extremely rare due to a couple of reasons. Firstly, only one out of 10,000 mollusks produces a pearl in the wild. In addition, so many wild mollusks have been collected throughout history that the population has dwindled significantly. Today, natural gems of the sea are very uncommon on the market and can fetch extremely high prices. Dating back thousands of years, natural pearls have been exclusive to only a few selected places. Saltwater gems were found along the waters of the Persian Gulf, the coast of India, near the Red Sea, and in the Japanese waters. Freshwater gems, on the other hand, came mainly from rivers and ponds in China. That is until colonizers saw Native Americans wearing large pearls and soon after found them in the basins of Ohio, Mississippi, and Tennessee. The harvesting of natural pearls continued into the 19th century until over-fishing became a severe problem. With a diminishing mollusk population coupled with an increase in global demand, the industry needed a new solution. 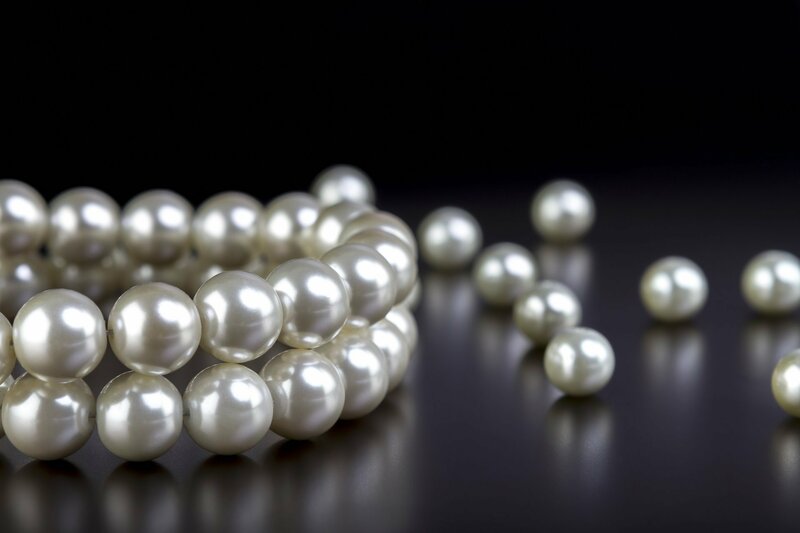 FACT: In the old days, pearls were used as medicine to cure insanity and other physical ailments. In fact, Charles VI of France used to consume crushed pearls to cure his mental health issues. In 1893, after nearly twenty years of trying, Kokichi Mokimoto achieved his lifelong dream of cultivating pearls. He did it by delicately inserting a nucleus into an oyster, which stimulated the creature into covering the nucleus with layers of nacre. Today, nearly all pearls available on the market are cultured pearls. There are a few varieties of these gems that vary in color, size and luster, based on the region they come from. 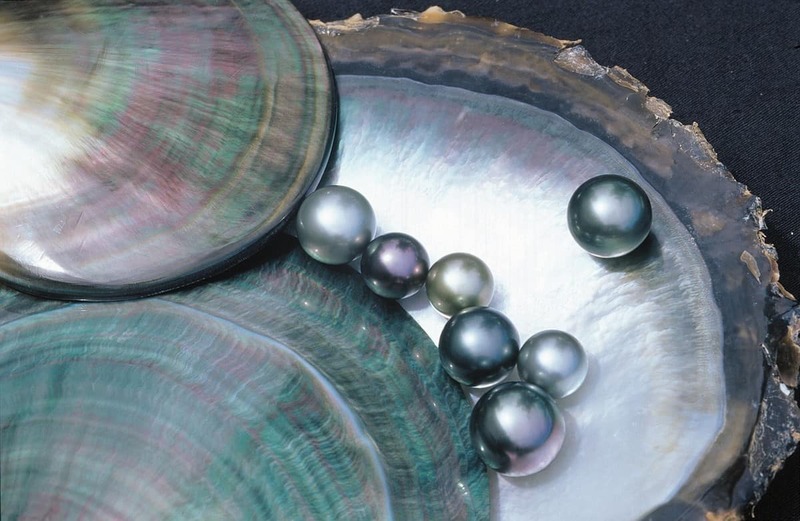 There are four main types of cultured pearls: Freshwater, Japanese Akoya, Tahitian and South Sea. Freshwater pearls are cultivated in lakes and rivers across China, while Akoya types are found off the coast of Japan and China. Tahitian gems are found not only in Tahiti, but also across all the islands of French Polynesia. Lastly, the South Sea jewels are harvested in the waters of Australia and the Philippines. All of the pearls mentioned above look different from one another due to their unique features. They all possess a diverse range of colors, sizes, and level of luster. Each of these factors can have an impact on the value of the gem. While people are most familiar with white and cream-colored gems of the sea, the gemstones come in an array of other dazzling hues. Freshwater jewels are found in delightful white and pink shades that ooze of charm. Tahitian pearls colors are undoubtedly the most exotic. They include shades of blue, green, grey, and black. South Sea jewels are revered for their golden color that is considered extremely rare. Lastly, Akoya gems feature white and black colorways. Size is another significant factor to consider. Freshwater pearl sizes range from 5mm to as large as 13mm. Akoya gems can be as small as 2mm. However, the diameter of 6mm to 8mm is the most common. Though in some cases, Tahitian types can be as large as 20mm, the average size is somewhere between 9mm and 11mm. The most popular diameter for South Sea gems is 7mm and 8mm, with anything larger classified as extremely rare. THE LEGEND: Cleopatra once won a bet against Marc Anthony when she claimed she could eat a single meal that cost 10,000,000 sesterces ($30 million today) – and she did so by dropping a large pearl in a glass of vinegar, dissolving it, then drinking it. The size of the pearls can have a huge effect on the overall look and feel of a piece of jewelry. Larger beads, such as the Tahitian and South Sea types, work incredibly well for studs. While pearl earrings are generally simple and understated, the larger gems give more than enough pop to take your look to another level. As an undoubtedly classic and timeless piece of jewelry, every woman absolutely needs a pair of white South Sea pearl studs in her jewelry drawer. One of the most special aspects of the gems of the sea is the way they reflect light. That is a feature highly affected by their luster. The rule of thumb is the more luster a bead has, the more valuable it becomes. When compared to other gemstones, all pearls feature a more vivid glow. However, it is the Akoya types that are especially known for this attribute. Akoya pearl luster is the primary reason why they are worth so much. While these gems are sharp and highly-reflective, South Sea gems feature a softer, satin-like finish. Why Should You Choose Pearl Jewelry? In terms of jewelry, you might want a classic pearl necklace or a more offbeat pair of unique earrings. The market offers something for every style, from traditional to modern and hip. Wearing a colorful pearl bracelet will make you stand out from the crowd and give a sense of elegance. They are suitable for any occasion – all you need to do is use your imagination. When shopping for jewelry, keep in mind both your budget and your personal style in order to find something that is exactly right for you. You can learn more about all the different aspects of these jewels by exploring ThePearlSource.com. Pearls are truly one of the most classic and exquisite gemstones. They look equally good at the office, during a night at the opera, or just running errands around the town. If you are considering investing in these stunning gems, keep in mind that they hold their value incredibly well. Moreover, the treasures of the sea will likely be an heirloom piece you can pass down to generations to come. Learning about these stunning gems can seem overwhelming since there are so many factors to consider. However, let’s hope that the question – “what is a pearl” no longer needs to be answered! FACT: Back in ancient Rome, pearls were one of the most popular symbols of wealth, representing the elite social class – which is why in 1BC, Julius Caesar created a law that banned anyone below the ruling class to wear the jewels.